All images courtesy of Linda McManus. After its sprawling 17,900 square feet sat vacant for years, the Eleanor Widener Dixon Estate, built by Horace Trumbauer in the 1920s, found new owners in December of 2013. Great care has been taken to bring this historic property back to its former renown. 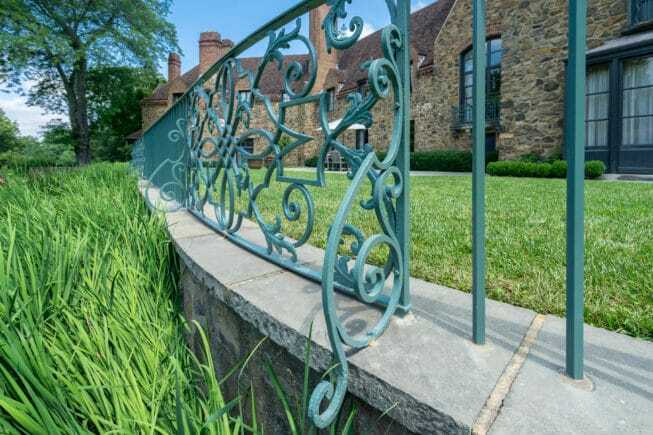 When the buyers discovered old forged iron structures during the renovation process, they knew that only the expert craftsmen of Anderson Ironworks could be trusted to restore these structures to their former glory. 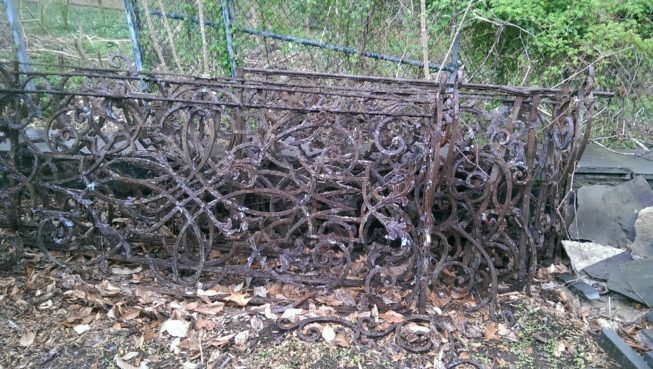 The new owners found these old gates on the property and wanted to restore them to their original condition. 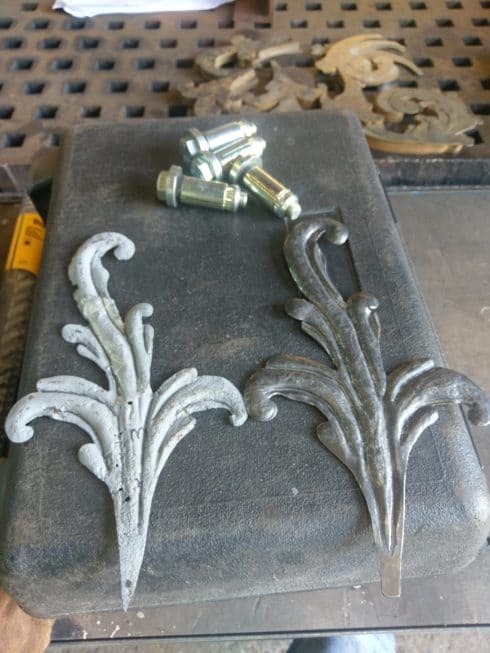 We took on every aspect of this ironwork job, from restoring or replicating entire large pieces to the detailed forged iron leaf work using a repousse technique. We carefully determined what treatment each piece of forged ironwork needed to be part of the great estate once again. Restorationis a key element to the historical conservation of this beautiful property. Before exercising any other options, restoration is the preferred method to keep history intact. While most historic ironwork can seem damaged beyond repair, our experts know how to get down to the base work of the iron. Using sandblasting and painting techniques, many of the original panels that were uncovered were restored to their former beauty. Replication is another technique that we take great pride in. As some of the pieces were irreparably damaged due to a lack of maintenance over the years, restoration was not possible. The artisans within us were ecstatic to take on the challenge of replicating custom wrought iron work that fit perfectly within this estate. After studying the intricacies of the 1920’s wrought ironwork, we used our time-honored and traditional techniques to replicate the necessary pieces. Repousse metalwork requires a delicate touch. Our team hand-crafted close to one hundred forged iron leaves that fit the time period the estate was built in. This process is complemented with an opposing technique called chasing, creating an effect known as embossing for the finished piece. With great care and precision, we were able to replicate the authentic forged leaf designs from scratch. An old forged iron leaf and the the replica we created from scratch next to it. About 100 iron leaf structures were created specifically for this project. Bringing the Eleanor Widener Dixon Estate back to life took great care and expertise. At Anderson Ironworks, we pride ourselves on delivering the same level of service with each project we work on. 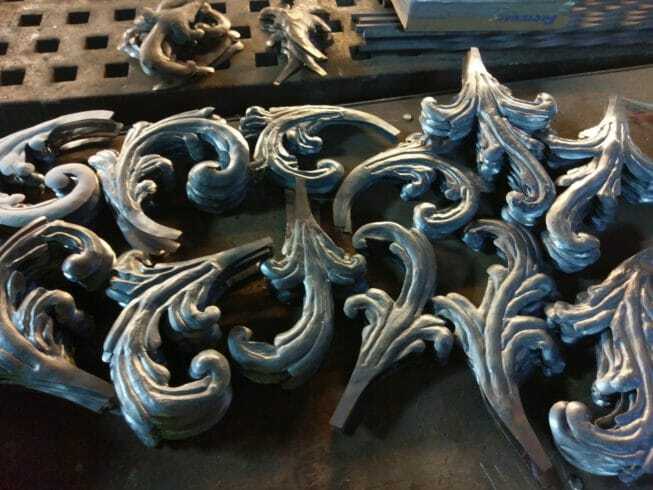 From restoring massive iron panels, to ornamental repousse metal work, to building iron leaf structures from scratch, our experts know what it takes to make each project special. 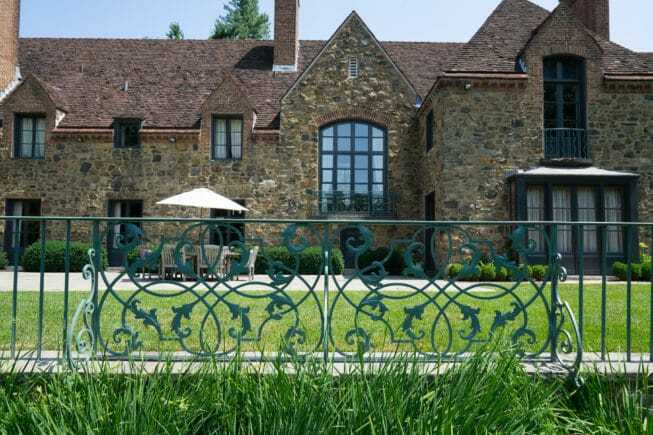 Contact our award-winning team for your next residential or commercial ironwork project.